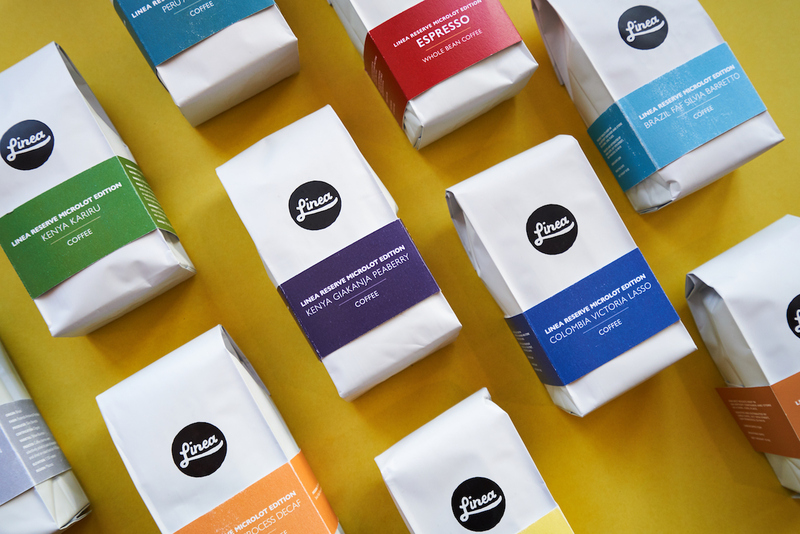 There were many challenges on this packaging redesign for Linea Caffe, a small coffee roaster in San Francisco. 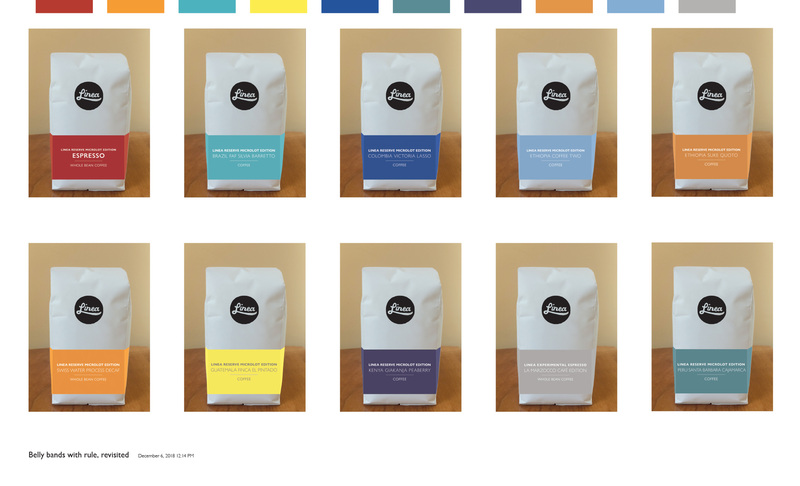 Flexibility: With small batches of unique coffees are arriving all the time, the client needed a production flow that allowed for runs of as small as 200, with a short turn time. Ease of assembly: As the company has grown, time spent assembling the old packaging had become cumbersome. The new packaging is assembled in fewer steps. Affordability: We printed the bags in a single large run. The belly bands are printed digitally in short runs. Durability: The previous kraft packaging would arrive in retail locations looking crumpled. The new substrate looks like a freshly pressed shirt, even after handling. Aesthetic: Using bright colors and a retooled Gill Sans Nova we remained true to Linea's brand: a clean Swiss-style modern style. Thank you to Linda Chun and her team at Savor Brands, Hawaii for producing the package, and to Mike Murnin and Sam Echo at Performance Printing, Reno, Nevada for printing the belly bands.